Where can U.S. students with qualified print disabilities (blind, low vision, a physical disability like CP or a reading disability like dyslexia), go to find instructional materials in alternative, more accessible formats? One important source is Bookshare, an online repository of over 125,000 digital books (including 6,000 textbooks), teacherrecommended readings, periodicals, and assistive technology tools. Quality and Effectiveness: Bookshare materials are available in several formats, including HTML, text, braille and DAISY (Digital Accessible Information System). However, DAISY-formatted materials created by Bookshare contain no audio. Recently, Bookshare released Read2Go, an iPad app combining the features of a DAISY reader with the accessibility tools and functionality available in the Apple iOS. The advantage of using the dedicated Read2Go rather than just Apple’s iBooks with VoiceOver is that qualifying students with Bookshare memberships can connect directly to Bookshare’s online repository. They can also use Read2Go tools to manage their books in the app’s Bookshelf, bookmark important passages, adjust audio presentation and display text, and navigate to particular text sections or pages. Ease of Use: Even first-time users will find Read2Go easy to navigate. Read2Go users have two choices for importing reading materials: they can search Bookshare directly with the app’s browse and search tools, then select the desired materials and download them for reading on the iPad, or, they can transfer books to Bookshare via iTunes. The iTunes option can be used to import Bookshare’s DAISY-compatible titles in the public domain and copyrighted encrypted texts previously downloaded for the student. Creative Use of Technology: Read2Go has built-in audio and visual support, allowing users to listen to text read aloud as it is highlighted on screen. 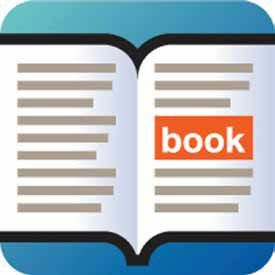 Users can browse materials in the Bookshare repository by tapping the Search button in the menu at the bottom of the iPad screen and looking for a particular title, author, or ISBN number. Suitability for Use in a School Environment: Read2Go has some useful features, offering direct connection to Bookshare for qualifying members, high quality voice for read-alouds, highlighting options, variable text colors and multiple type sizes to suit individual reading needs. Bookshare materials are reserved for Bookshare members. Overall Rating: Read2Go is a good first step in the effort to make instructional materials more accessible to students who qualify for Bookshare accounts and NIMAS-formatted textbooks. The present version does have a few limitations. Unlike iBooks, for example, Read2Go has no text search capabilities. Other features missing from this release include the absence of a dictionary, the inability to add notes to text, and no access to PDF or DAISY-formatted OPF files. • Students with Bookshare memberships have direct access to the Bookshare collections of books, periodical, and other materials from the Read2Go app. • Heather and Ryan voices that ship with Read2Go are of a higher sound quality than the voices built into Apple’s iOS. • Settings allow users to enter Bookshare username and password so the student doesn’t have to enter this information manually each time with every Bookshare visit.